Anna Sargsyan takes on Chief Learning Officer at AllenComm after 22 years of corporate training experience. AllenComm is proud to announce the promotion of Anna Sargsyan to the role of Chief Learning Officer. As a leader in custom corporate training solutions, AllenComm sets a high standard for the Learning and Development industry. Sargsyan is a thoughtful strategist, bold thinker, and inspiring leader. She holds a Master’s Degree in Instructional Technology and has over 22 years of experience in corporate training. Over the last 20 years at AllenComm, she has built a solid reputation as a genuine and insightful professional. 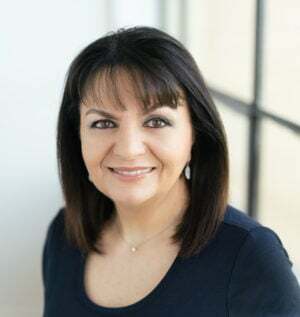 Sargsyan has worked her way up from Instructional Designer to project manager, courseware director, and, most recently, held the title of VP of Instructional Design. “Anna pours her heart and soul into everything she does! Her passion for improving performance is contagious, and it impacts everything and everyone at AllenComm, from the training solutions we create, to the growth and development of the talented people who create them. There’s no one I’d rather have leading our company through the exciting new realm of 21st-century learning,” says Paul Zackrison, CFO of AllenComm. In the years that Sargsyan has led teams at AllenComm, she has overseen innovation for current and future training needs and identified opportunities to approach learning strategically. In her new role as a Chief Learning Officer, she will continue to provide consulting on personalized performance solutions aligned with clients’ business goals. With her vision to change the way people learn, think critically, and act, Sargsyan will work with her team to help engage and transform learners and strengthen company strategy, brand, and culture. Sargsyan is recognized as an industry expert, and her work is highly rated by her clients. Sargsyan and her team have earned industry recognition and various awards, such as the ATD Excellence Award, Brandon Hall, Telly, and Horizon. In this new role, Sargsyan will help shape the future growth of AllenComm as a leader in innovative learning solutions. The company is proud to have this industry veteran in her expanded role.